Winter or summer annual with finely dissected leaves that may reach 2 feet in height. Primarily a weed of landscapes, nursery, and some agronomic crops that is found throughout the United States. Stems below the cotyledons (hypocotyls) are green and become maroon with age. Cotyledons are thick and smooth, approximately 7 to 8 mm long. The first true leaves are opposite, but all subsequent leaves are alternate. All true leaves are thick and finely dissected with some short hairs. Alternate, finely dissected, approximately 3/4 to 2 1/2 inches long and 1 inch wide. Leaves emit an unpleasant odor and may have some short hairs. Erect, branching, usually without hairs. Occur in solitary heads at the ends of branches. 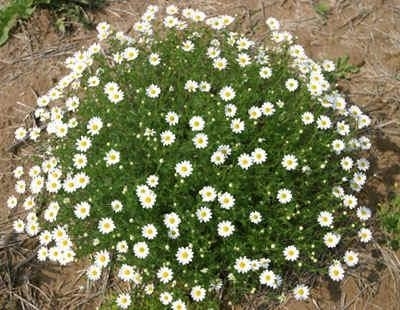 Flowers are approximately 2/3 to 1 1/3 inches in diameter and are white (ray flowers) with yellow centers (disk flowers). White ray flowers have 3 distinct teeth. An achene that is approximately 1.2 to 1.8 mm long. Taproot and fibrous root system. 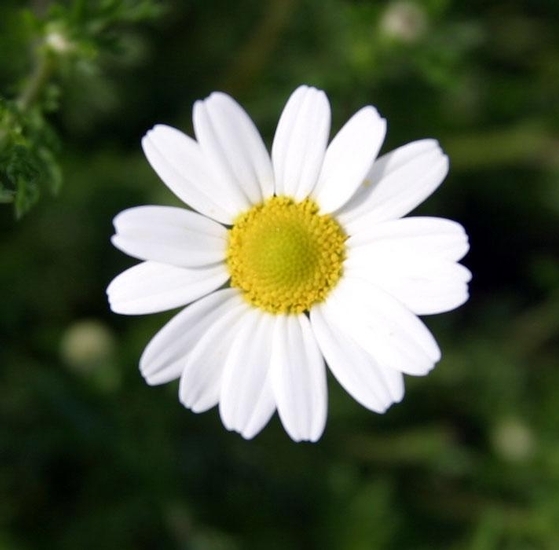 Plants with finely dissected leaves that emit an unpleasant odor and have white flowers with a yellow center. 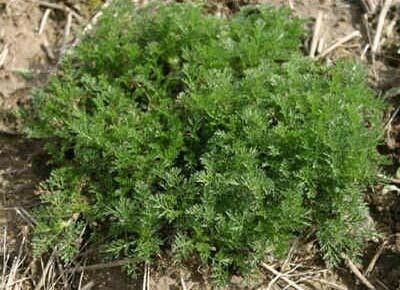 Mayweed chamomile may resemble Dogfennel (Eupatorium capillifolium) when in the seedling stage, however dogfennel seedlings have petiolated cotyledons and hairy stems. Pineapple-weed (Matricaria matricarioides) also has similar characteristics, but has green flowers and emits a pineapple-like odor when crushed.